One of my most successful PPC campaigns resulted in over 18 million impressions, 285,000 clicks, 855 leads worth between $170k to $265k, and most importantly a 500% ROI. I was a 1-man team with a very limited budget and I was competing against About.com, Indeed.com, and Ask.com who have digital marketing teams with million dollar budgets. It’s EPC. Earnings per click. 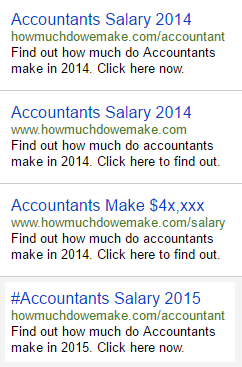 How much will I make per click from my ads? I focused all my efforts on getting my EPC up. Let’s say my EPC was $1. I can pay up to $0.99 and still make a profit. If our competitors’ EPC was $0.50, they can only pay up to $0.49 per click. If they pay above that, they would make a loss. And because my EPC was higher than my competitors, I was able to bid more than them for my target keywords, and grab the top 3 spots every single time. You can use all the latest strategies but if your EPC is not higher than mine, I’m going to beat you. You can use all the latest marketing strategies you want. You can highly optimize and automate your bidding strategy so you get the most bang for your buck. You can also hire a world-class marketing automation agency to set up your marketing funnel for you. But if your EPC is not higher than mine, I’m going to roast you in the PPC arena. When I outbid you, I’m literally grabbing your market share and your customers away from you. There are a few things I did. I didn’t use any automated bid strategy, some secret bid management technique, marketing automation, etc. The first thing I did was making my ads as relevant as possible. 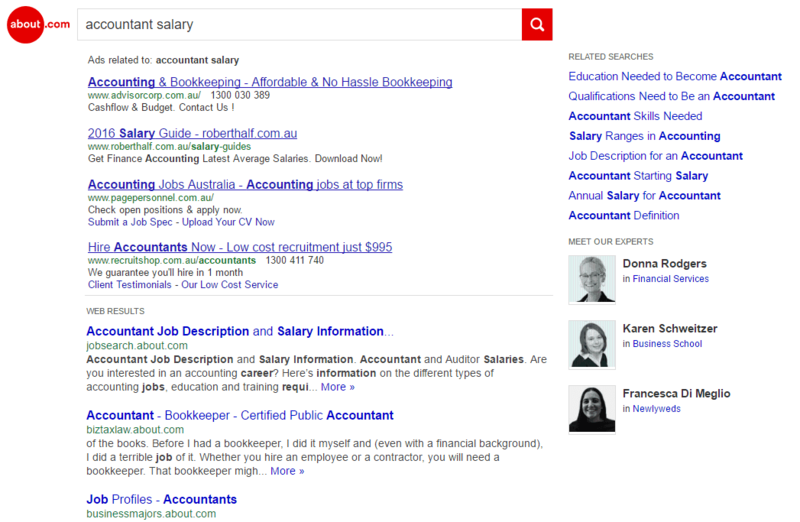 I wanted my ads to be laser-focused on our searchers’ intent. If they search for blue dog collar for big dogs, I’m going to create an ad and a landing page about blue dog collar for big dogs. If they search for red dog collar for English bulldogs, I’m going to create an ad and a landing page about red dog collar for English bulldogs. 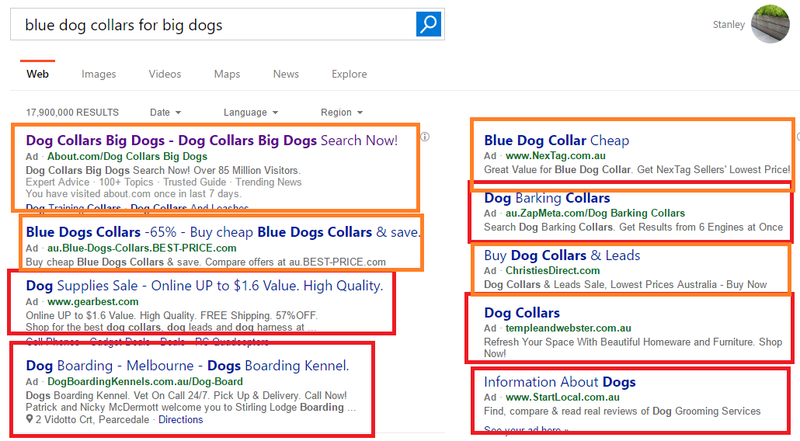 Look at these search results for blue dog collars for big dogs. NONE of these search results are highly optimized. 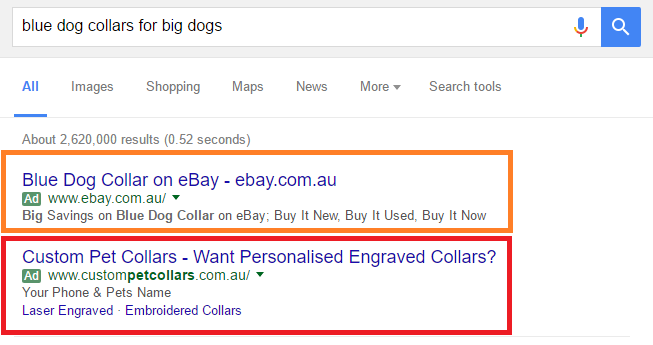 These are the top 2 ads for blue dog collars for big dogs. Ebay’s one is not too bad. QS probably in the range of 7s. The 2nd one is terrible. We can create a highly optimized landing page about blue dog collars for big dogs and take that spot away from them. When you make your ads relevant, your CTR increases. When you get your CTR up, your quality score increase. When your QS increase, your CPC decrease. When your CPC decrease, your cost drops. When your cost drops, your ROI increase. That’s PPC 101 in 1 sentence. 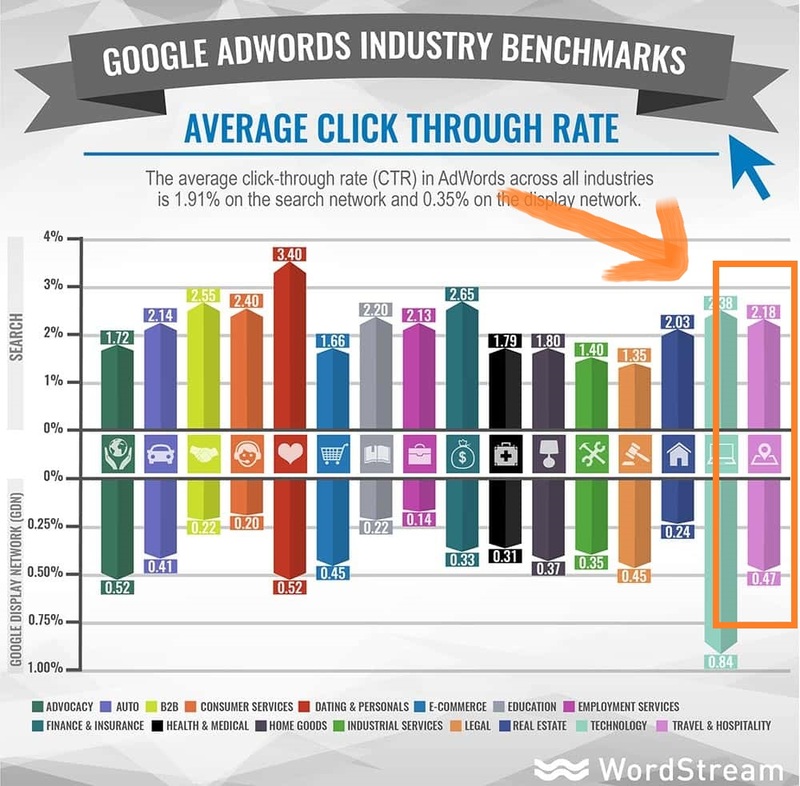 Here’s an image from WordStream on the industry benchmark for PPC CTR. 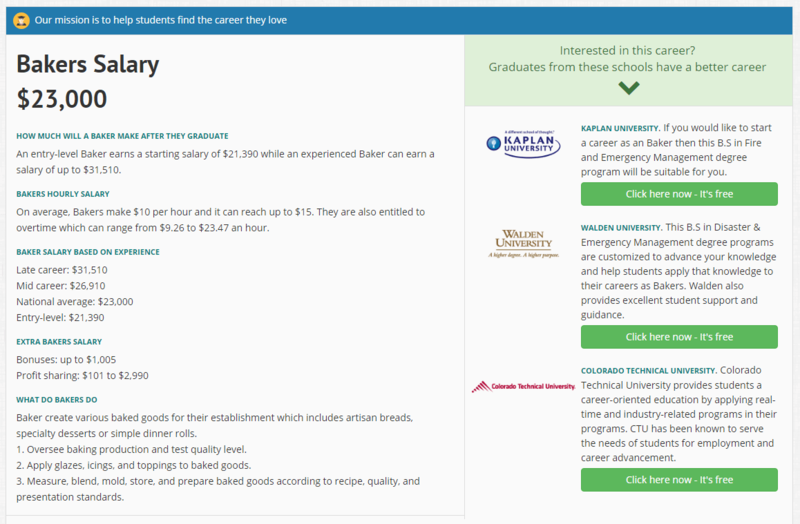 We were in the employment services / job / career niche. The average CTR in this niche is around 2%. 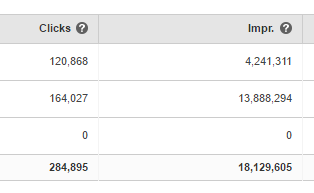 But our ads were so optimized that our top ads can get up to 12-15% CTR! Talk about dominating your competition. With a CTR like that, I was able to drop my CPC all the way down to $0.10 to $0.15 per click. I was bidding $0.30 for my keywords but I ended paying only $0.10 to $0.15. That’s more than a 50% discount. 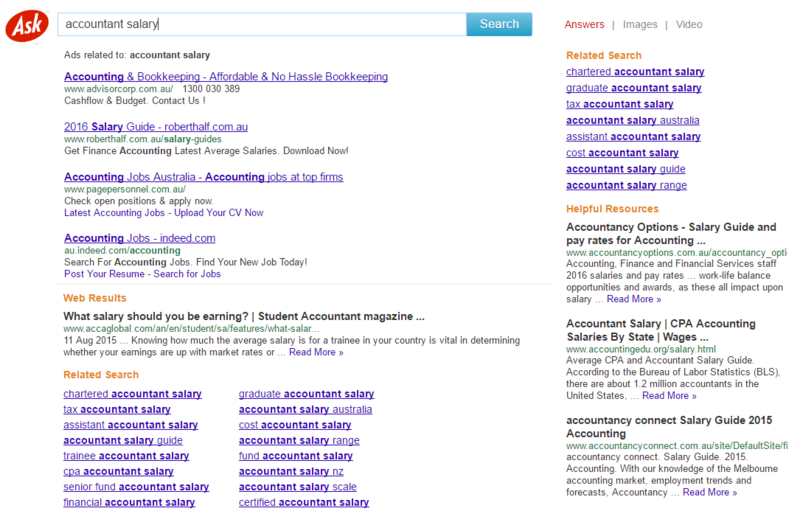 Here’s an example of 1 of my ads from 1 ad groups targeting keywords like “accountants salary”, and “how much do accountants make”. After we got our quality score up to the ranges of 8,9, and 10 and our average CTR to 8%, the next thing I focused on was optimizing my landing page to generate the highest conversions as possible. Here are 2 of our competitors’ landing pages if you click to their ad for my target keywords. The left side of the page = Content providing users what they want which boosted our quality scores too. The right side of the page = Our lead generation offers. You don’t need an automated bid strategy or the latest marketing strategies to beat your competition in PPC. All you need is to get your EPC up and the rest will take care of itself.